Tanzania shares it national anthem with South Africa and Zimbabwe. It’s titled “Mungu Ibariki Afrika” (God Bless Africa) and was composed by Enock Sontonga. Capital City: Dodoma, officially Dodoma Urban District, is the national capital of Tanzania and the capital of Dodoma Region, with a population of 410,956. 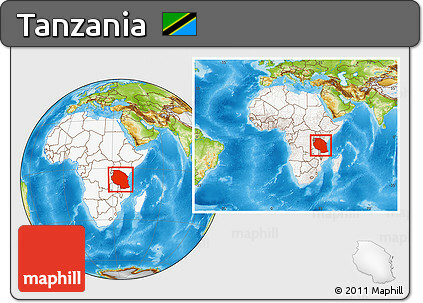 Religion: Approximately one third of Tanzanians identify themselves as Christian, another third as Muslim. The remaining third practice one of the country’s numerous indigenous religions.